Erwin likes the challenges that come with transforming supply chain and operations for big industry where there is a beast to tame—such as the steel industry. Erwin also enjoys working in the consumer goods industry where the quick pace of innovation ensures he always learns something new. He works closely with senior leadership teams on increasing the value from operations. 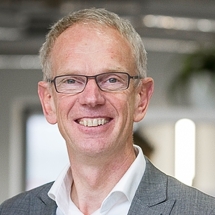 Erwin studied Technology Management at Eindhoven University of Technology and his consultancy career began working with Turner where he developed experience in supply chain implementation and transformation. Erwin joined M3 shortly after it was founded. In his spare time, Erwin likes sailing and sees the sport as a metaphor for life: you can’t control the wind, but you can do a lot to compensate. I get passionate about the untapped value still locked away in supply chains all over the world. I love how together with our clients we get to think of the big strategic ideas that unlock this value.